Many gamers were overjoyed when Microsoft introduced the Xbox One’s backwards compatibility feature in 2015, meaning old classics from the Xbox 360 era (and some original Xbox games too) would soon be playable on the current-gen Xbox One. The feature has proven to be quite popular to this date, and hundreds of old games are now backwards compatible on the Xbox One (see some of the best here). And Microsoft exec Major Nelson has now announced on Twitter the latest games to join the Xbox One’s backwards compatibility list: Call of Juarez: Bound in Blood and Call of Juarez: The Cartel. These two western-themed games are made by Techland, a developer responsible for the pretty-popular and well-received zombie game Dying Light, but which also forayed into cowboy games with the Call of Juarez series. 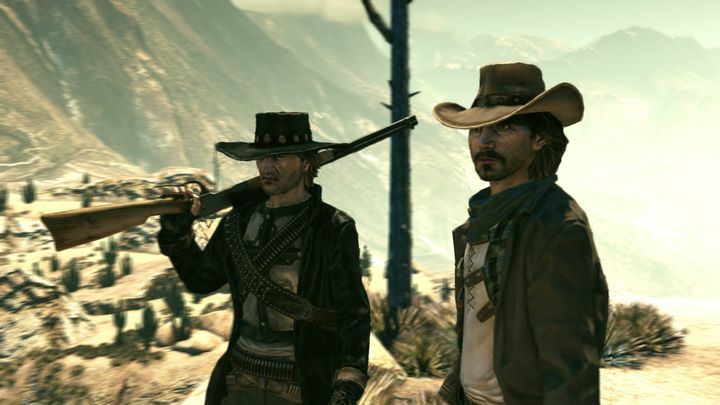 The first of these games (Call of Juarez: Bound in Blood) was pretty well received, boasting solid first-person action even if it did not last so long, while Call of Juarez: The Cartel takes place in the modern day and wasn’t as liked by critics and gamers due to its not so great gameplay (and like other video games in the past, it was accused of having racist undertones too). If you own either of these games, you just need to pop in the disc into your Xbox One console and will be able to play after a short download and install, while for owners of a digital edition of either Call of Juarez: Bound in Blood or Call of Juarez: The Cartel, the game will appear in the Xbox One’s “Ready to Download” section. It’s a great thing that Microsoft keeps adding games to the Xbox One’s backwards compatibility list, which now boasts hundreds of compatible games including the likes of Assassin’s Creed II, Red Dead Redemption and Fallout 3, meaning Xbox One owners are spoilt for choice when it comes to the console’s old game selection, even if some backwards compatible games have not played as well as some would have liked. Either way, here’s hoping Microsoft keeps adding more games to its console’s backwards compatibility list in the weeks and months to come.